Disclaimer: The author's views don't necessarily reflect that of Sportskeeda. Unfortunately, 2019's version of Elimination Chamber has a card that's thoroughly underwhelming. I've said it before and I'll say it again, it truly feels more like a C-level pay per view of the kind you'd expect in July or October rather than one you'd see during the months leading up to WrestleMania. The road to WrestleMania just hasn't felt terribly exciting this year so far, and this card is one of the major reasons why. Instead of using it to set up the Show of Shows, it's being used as a way to fill out TV time, more or less. This just isn't a card that screams "must-see," but are there any matches you should go out of your way to take a look at? If you understandably don't want to watch the show live, which matches should you go back and see later? Here's how things stand as far as the match quality should go. Why is this match happening at all? That's the question here. Braun Strowman has cooled at a rapid pace from his highs. Just a year ago, he was the most popular star in the company. Now look at him! His feud with Baron Corbin has been heatless. Strowman already got his payback at TLC by ensuring that Corbin would be out of a job as Raw GM and he got his payback in an innovative way. WWE's reasons for continuing the feud amount to little more than a lazy way to fill TV time. 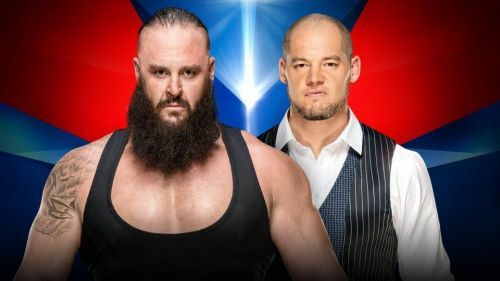 On top of a heatless feud, Strowman and Corbin's inherent limitations will expose themselves quickly when they're in the ring together. Perhaps surprises lie in wait, but by every conceivable measurement, this match stinks. It's pure filler and nothing more.